Thailand is a food lover's paradise where the absolute best culinary experience is found at roadside street vendors. From sizzling satays in Southern Thailand to chewy rice noodles in Chiang Mai, Thai street food is enjoyed by all. The Soi Number 9 food truck crew is delighted to bring these foods to you to experience. Our name, Soi Number 9 is uniquely Thai. Soi is the Thai word for "street." Nine (9), pronounced "gao," happens to be the number of our beloved and late King of Thailand, H.M. King Bhumibol Adulyadej, the ninth monarch from the Chakri dynasty. Tim is Co-Owner and Executive Chef of Soi Number 9. A classically trained chef, Tim specializes in authentic, uncompromised Thai food. Delicately balancing sour, salty, sweet, and spicy flavors with an intensity known only to Thai cuisine, Tim prepares beautifully addicting dishes for all to enjoy. Mai is Co-Owner and Boss-Lady of Soi Number 9. 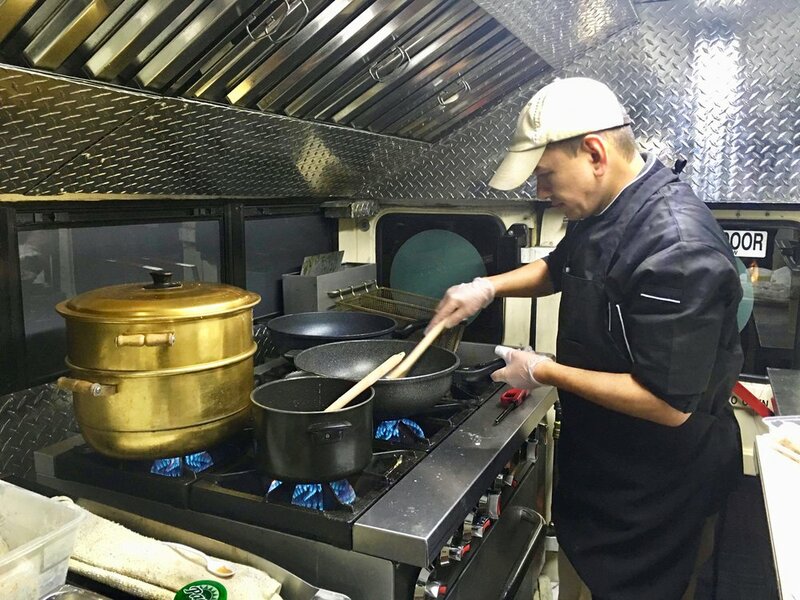 While Chef Tim is responsible for creating the menu, prepping, and cooking, Mai focuses on the business operations of the food truck.